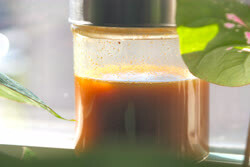 How to bring out the natural, sweet flavours of pumpkin into a syrup. Canned pumpkin comes from pumpkins that are grown solely for the purpose of processing. 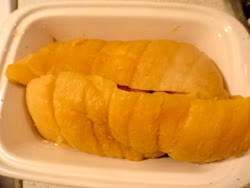 They are tan and slightly oblong in shape, more like a squash than a happy Halloween jack-o-lantern shape. Common varieties include the Chelsey, Buckskin, Dickinson Field, and Kentucky Field. 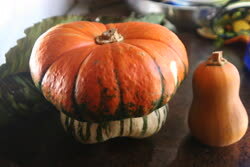 Quite different in appearance from the Western orange pumpkins used most notably for Jack-O-Lanterns in the United States, Japanese pumpkins tend to have greenish outer skin and yellow flesh. 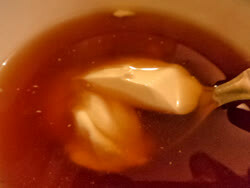 The Japanese prepare the sweet flesh by simmering peeled chunks in chicken broth and dashi and flavoring with soy sauce and salt. 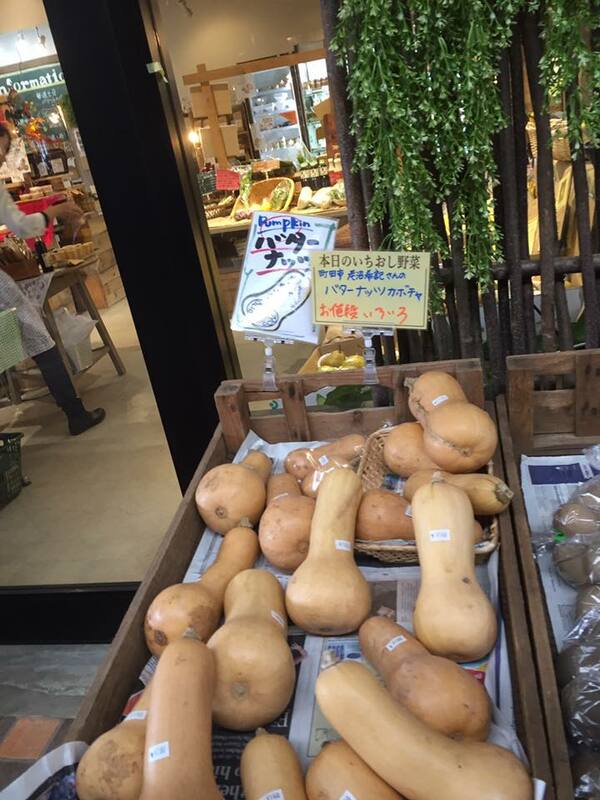 The "one serving" size kabocha is very popular in Japan. 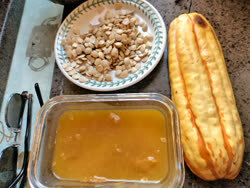 Chinese cooks stir-fry pumpkin with pork and mushrooms or make it into a soup with pork or fish. Thai cuisine braises it with coconut milk and seasonings. 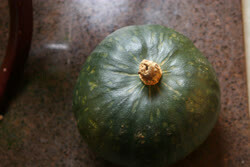 Winter squash varieties are excellent in tempura, stir-fried or baked. 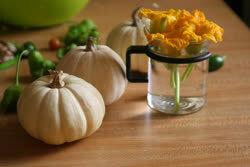 Pumpkins are highly nutritious and can be used in sweet and savory recipes. Toast the seeds for an autumn treat. 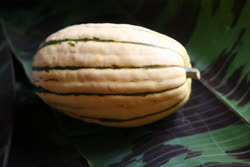 Halloween pumpkins, such as the typical Jack O'Lantern, can be cooked and used like other squash. 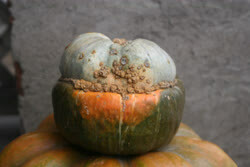 What makes Halloween pumpkins different than other squash is they have a higher water content and the fibres are thick and numerous. 1) Drain the pumpkin. 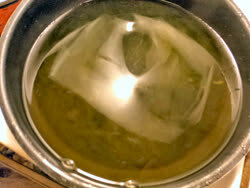 Save and reduce the water to syrup. 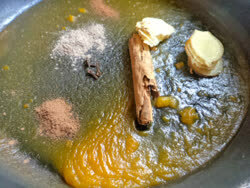 2) Blend the fibrous flesh. 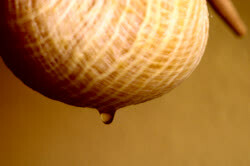 It will become very smooth and easy to work with. 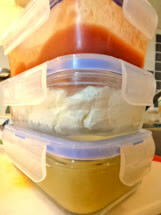 From one 10 lb Jack O'Lantern type squash, we produced 2 freezer bags full of pumpkin flesh and one 1 litre jar of syrup. 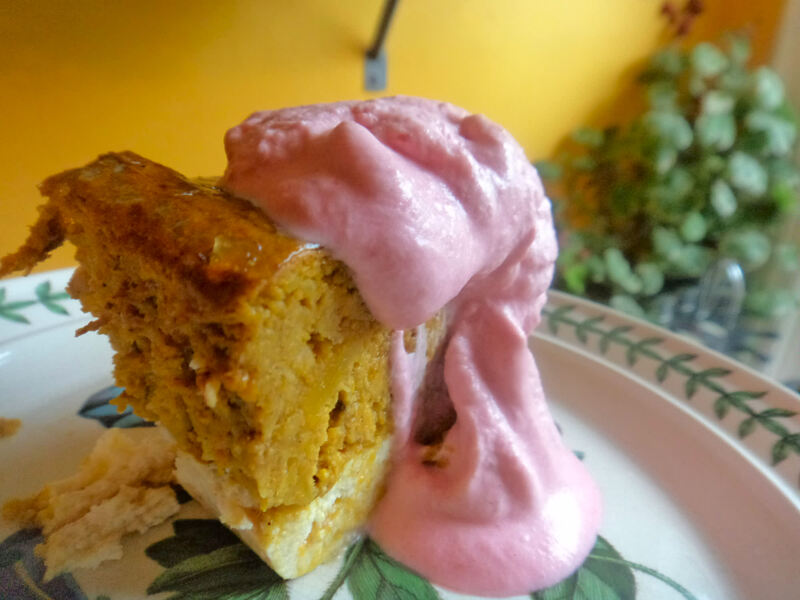 It took us all of 2 weeks to use everything up in dessert recipes; The Halloween pumpkin flesh was ideal for mixing with kabocha in the Pumpkin Pie Royale recipe to make the texture and flavour just right. 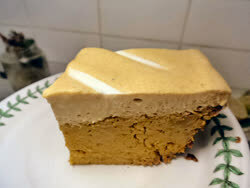 The more bland squash work really well in the simple Squash Brownies recipe. 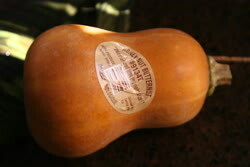 In fact, bland squash are preferred for this recipe, offering the perfect medium for maximum chocolate flavour. Every bit as chocolatey and smooth as the real thing made of flour and sugar, these brownies are sure to pass anyone's test. We dare you to bake them and let a friend sample them - only don't tell them they are made with squash instead of junk food. See if they notice one bit. We sure didn't. 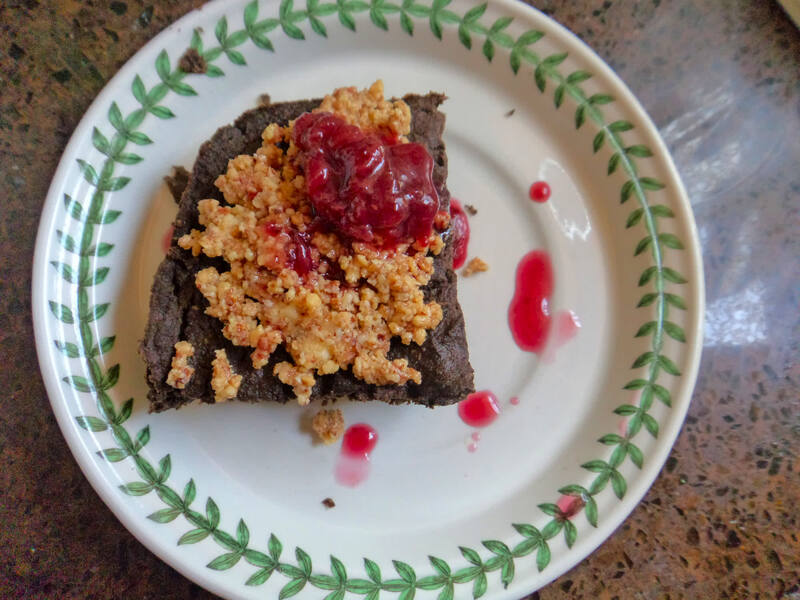 This recipe is the result of careful testing; unlike all those other "squash brownie" recipes, we don't use butternut squash here; thus no need to cover up that distinct squash taste that most have - Most, but certainly not all. This recipe can be modified into something that resembles a Black Cake or Black Pudding in taste with the addition of more fruity, tropical flavours. 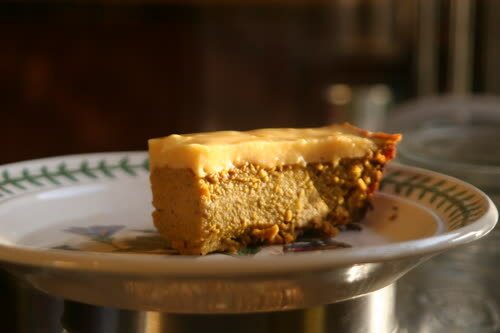 A recipe for this is currently in the works so check our website for it later or create your own. 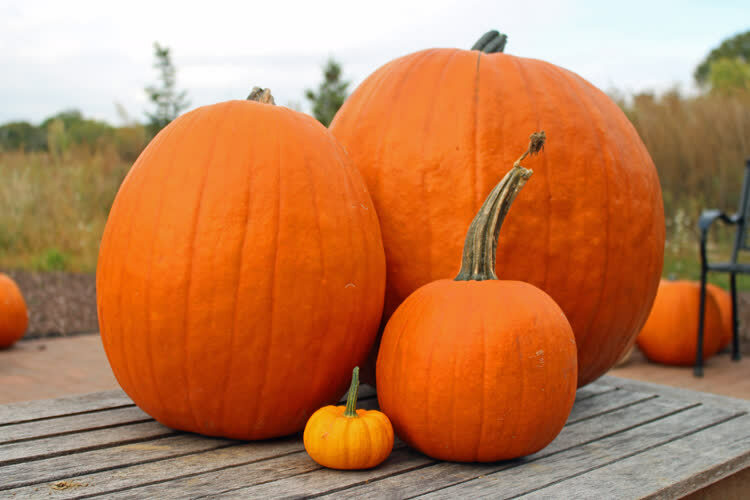 Pumpkins have a huge amount of Vitamin A, more than nearly all vegetables and foods. 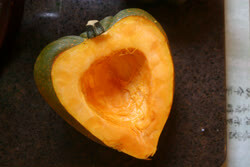 The large amounts of vitamin A in squash often increase after it is cooked. 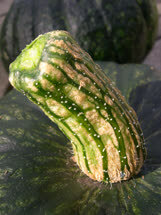 FDA data suggests that all types of squash are very high in vitamin A, regardles of flesh colour. 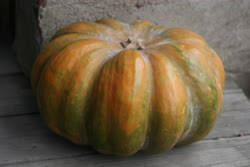 Pumpkins are known in cultures as Vitamin Pumpkin, and have been used as a medicinal food for thousands of years. 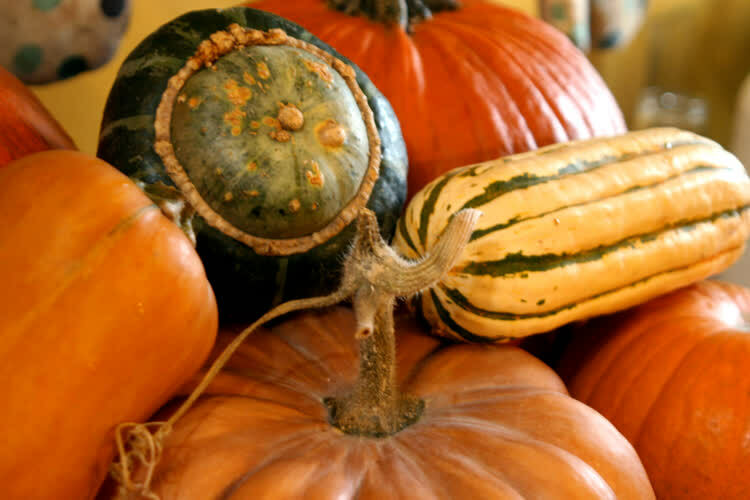 To get the most out of your nutritious pumpkin, eliminate anti-nutrients in your recipes. 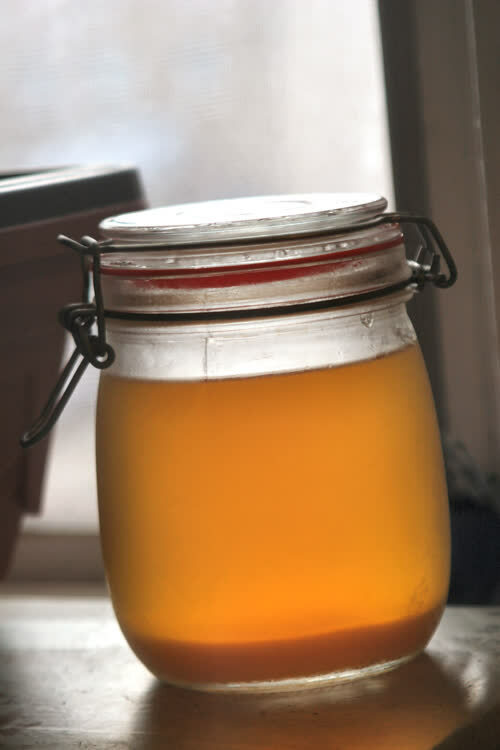 This includes sugar, simple carbs, and high-temperature processed oil. 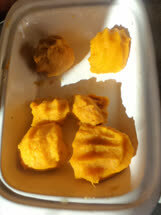 Play on the natural sweetness of squash by using high fat ingredients: butter, whipping cream and coconut oil.